If you’re looking for a vacation spot where you can golf, hike, swim, boat, ski, and gamble, then Marriott's Timber Lodge timeshares in South Lake Tahoe, California is exactly where you want to be. It's true that Timber Lodge has it all and the convenient location next to Nevada makes it easy to test your luck at some of their famous casinos. Give yourself a break this year, and let Premier Timeshare Resale help you buy a Marriott's Timber Lodge timeshare resale and have vacations that will last you a lifetime. When buying a Marriott's Timber Lodge timeshare resale, you have your choice of one bedroom/one bath, two bedroom/two bath, or three bedroom/three bath villas. Master suites come with a king-sized bed and a separate tub and shower. Each of the villas come equipped with a full kitchen with cookware and tableware, a fireplace, whirlpool tub, DVD player, and washer/dryer. Room amenities include air conditioning, an alarm clock, a coffeemaker and tea service, a crib, individual climate control, down/feather/foam pillows, a pull-out sofa bed, a roll-away bed, and an in-room safe. The bathroom amenities include a bathtub with spray jets, a hair dryer and a separate tub and shower. The kitchen amenities offered are a conventional oven, dishwasher, microwave oven, pots, pans, serving dishes, a refrigerator with an icemaker, silverware, a stove, a table and chairs, and a toaster. Room entertainment includes a color television with cable/satellite TV, and a fireplace. There are a lot of activities to do when you are staying in your South Lake Tahoe timeshare. The Nevada State Beach is only six miles away, or you can swim at the Timber Lodge heated outdoor pool, and your children can swim in the outdoor children's pool. There are also multiple whirlpools to relax your muscles after a long day of skiing or hiking. Other local activities include a nearby biking rail, bowling, fly-fishing, hiking, horseback riding, jet-skiing, jogging and fitness trails, kayaking, miniature golf, mountain biking trails, river rafting, sailing, scuba diving, snorkeling, waterskiing, tennis, and snow skiing. There is a family and children's activities center at Marriott’s Timber Lodge resort that provides fun activities for kids of all ages. If you want to enjoy a round of golf, you may want to visit the Edgewood Golf Course, for an 18 hole, par 72 that offers rentals and lessons, or if you are an expert golfer you may want to test your skills at the Incline Village Golf Club for an 18 hole, par 58 that includes rentals and lessons. If you want to keep up your daily exercise routine, you can visit the onsite fitness center, with cardiovascular equipment, free weights, treadmills, and stationary bikes. When you finish up at the fitness center you can unwind in the nearby spa, Body Essential, which offers body scrubs, body wraps, facial treatments, manicures and pedicures, massages, paraffin hand treatments, waxing, and a steam room. 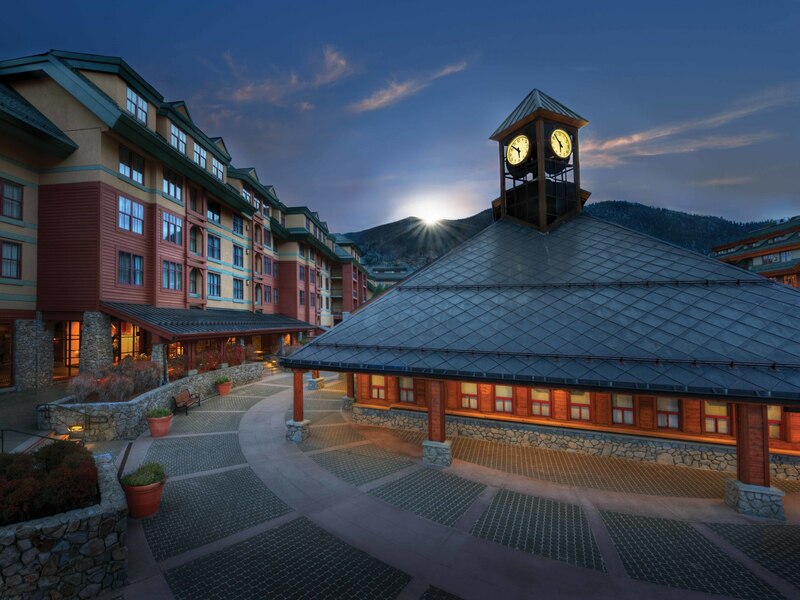 Marriott's Timber Lodge at South Lake Tahoe will keep you coming back for more every year with the great amenities and activities available at the Marriott timeshare resort. If you are looking to buy or sell a Marriott's Timber Lodge timeshare, let Premier Timeshare Resale’s experienced brokers help you find the perfect timeshare deal for you. Buy a Marriott Timber Lodge timeshare and enjoy this beautiful, fun location on your next vacation.